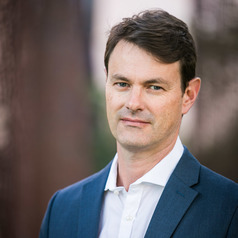 Professor Alex Steel researches and teaches in criminal law and legal education. In the criminal law field he has published widely on property and dishonesty and identity crimes. He is a co-author of the highly regarded Criminal Laws: Materials and Commentary on the Criminal Law and Procedure of NSW. Alex has also produced detailed law reform reports for Government and makes regular submissions to law reform bodies. He is a member of the Criminal Law Committee of the NSW Bar Association and has been an expert advisor to the NSW Law Reform Commission. He was previously a Consultant to the NSW Attorney General's Department, Criminal Law Review Division. He regularly comments on criminal law matters in the media. Alex is an inaugural UNSW Scientia Education Fellow. He has received a Commonwealth Government Citation for Outstanding Contributions to Student Learning (2015); the LexisNexis ALTA Major Award for Excellence and Innovation in the Teaching of Law: Highly Commended (2013); Faculty of Law Award for Outstanding Research in Learning and Teaching (2013); Vice Chancellor’s Award for Teaching Excellence (2008); a UNSW Learning and Teaching Award (2005/6) and an Innovative Teaching and Educational Technology Fellowship (2003). As a member of the Smart Casual team he was a Finalist in the 2017 Legal Innovation Index. He was Associate Dean (Education) (2009 - 2013) and Associate Dean (Academic) (2014-2016).